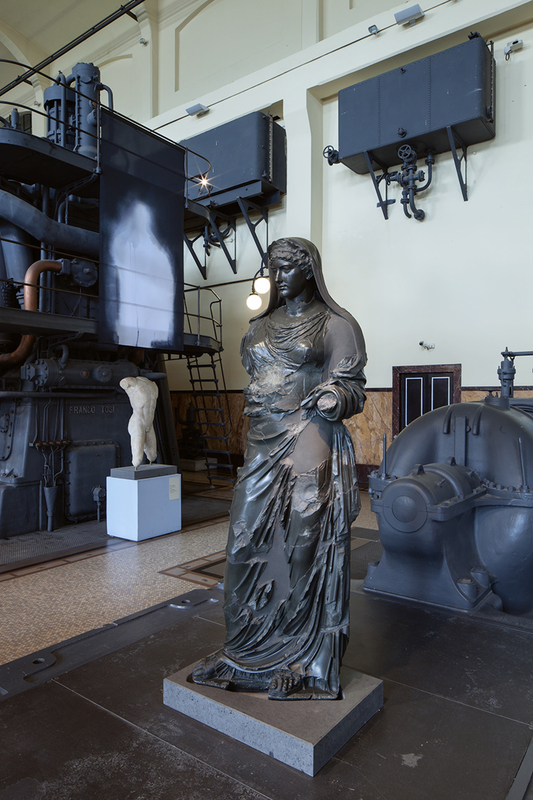 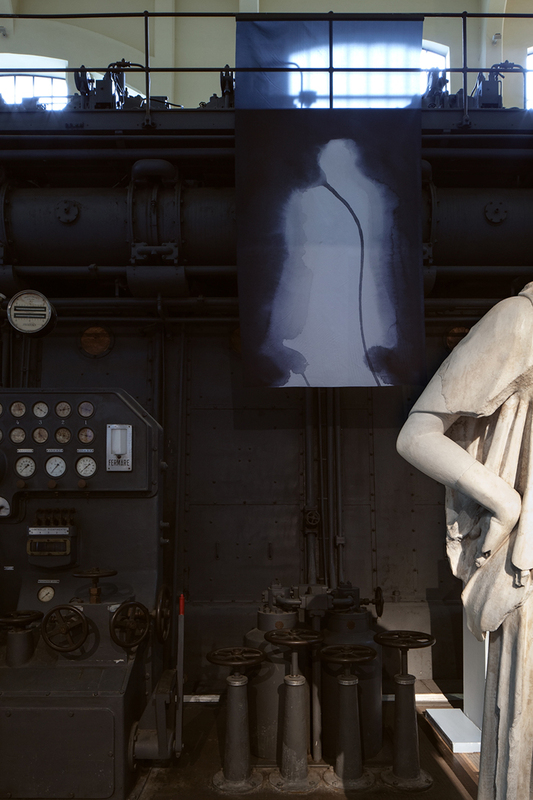 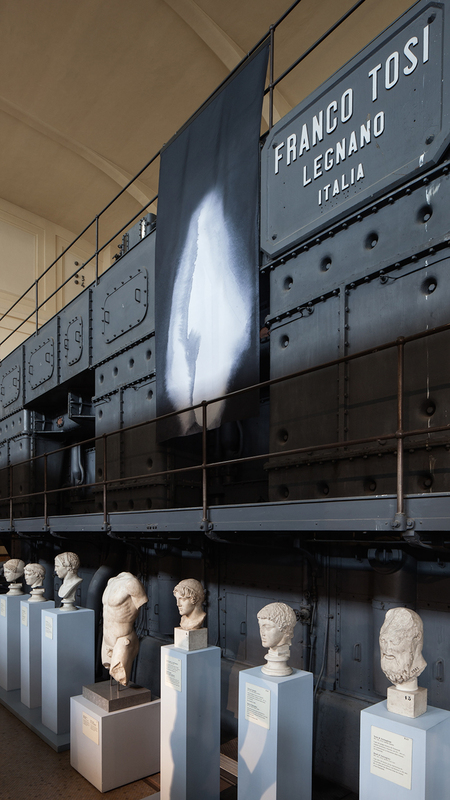 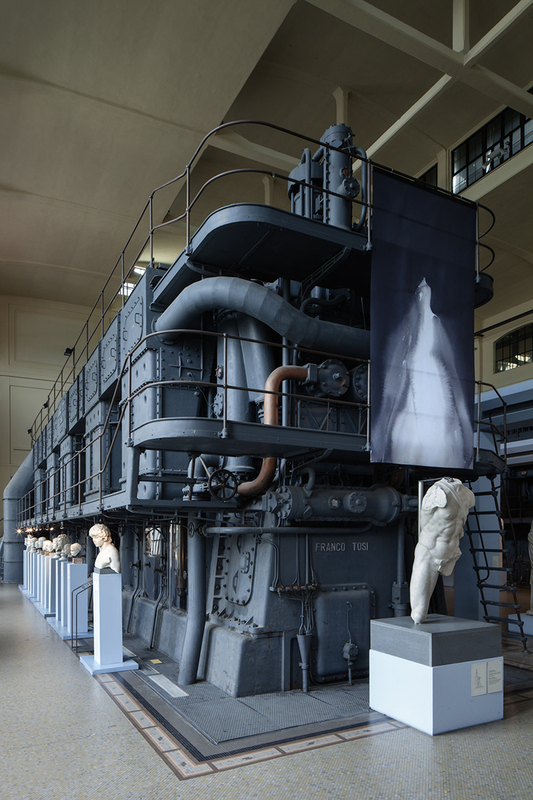 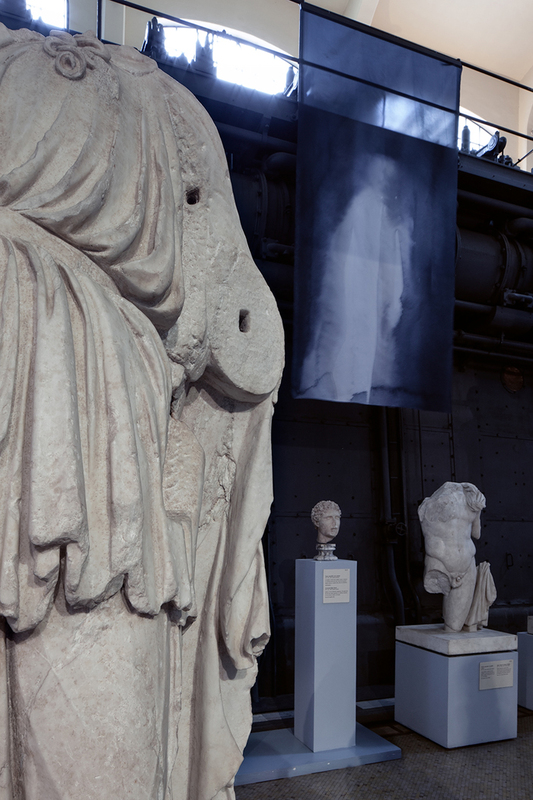 Musei Capitolini, Centrale Montemartini Museo is pleased to announce Le Macchine, Gli Dei e I Fantasmi an exhibition of 6 new works by Rome Prize awarded artist Patricia Cronin, the first contemporary artist to be exhibited in the converted electrical power plant. 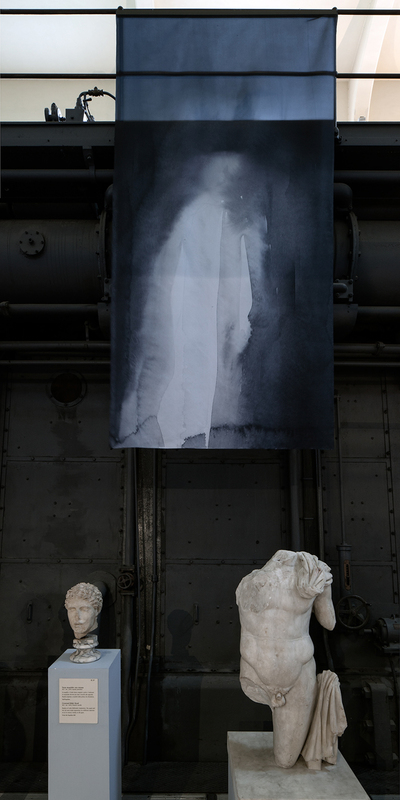 Cronin’s new body of work, created specifically for the unique industrial space, features monumental ghost images inspired by her recent series rediscovering the life and career of the famous American sculptor, Harriet Hosmer and the classical statues, masterpieces from the Capitolini Musei collection, which are permanently on view at the Museum. 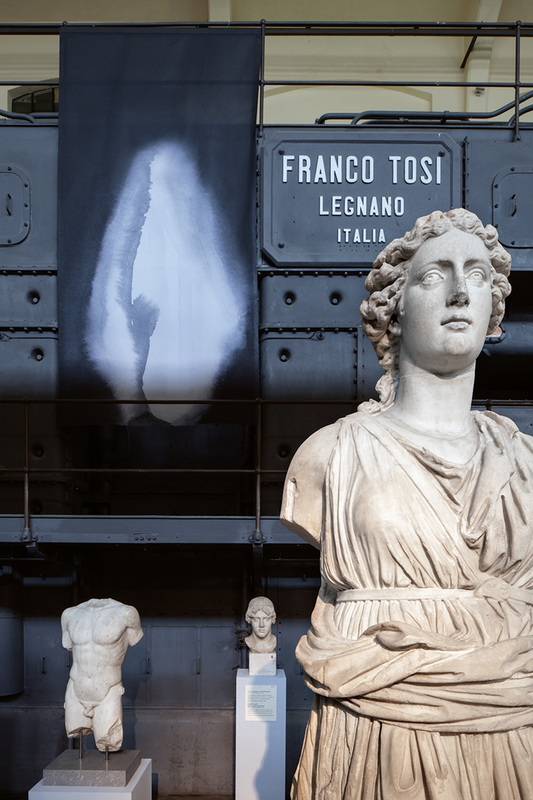 Interspersed amongst the marble sculptures and industrial archeology, the fantasmi, printed on large-scale translucent silk panels, inject life into the vast Engine Hall, seemingly breathing and pulsing with each passing draft. 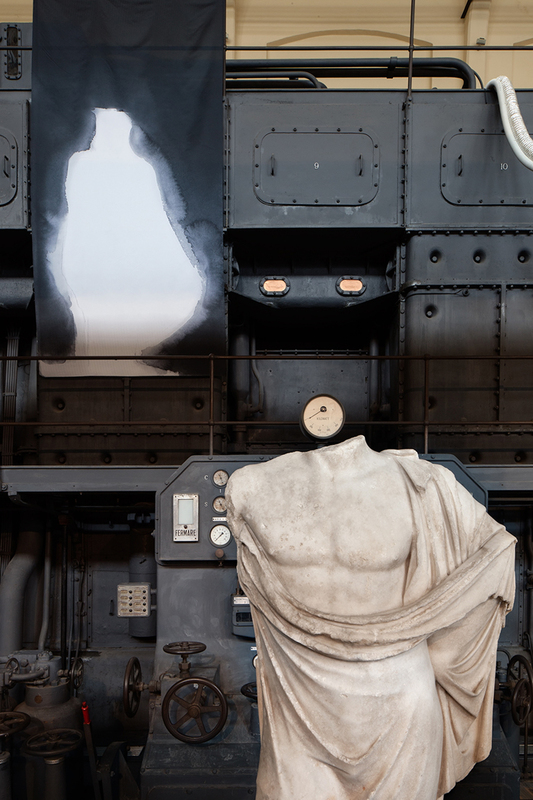 At once present and absent, the veils offer physical, albeit ephemeral, presence to what is void, reminding us of the fickle, unstable, and fleeting nature of life and history. 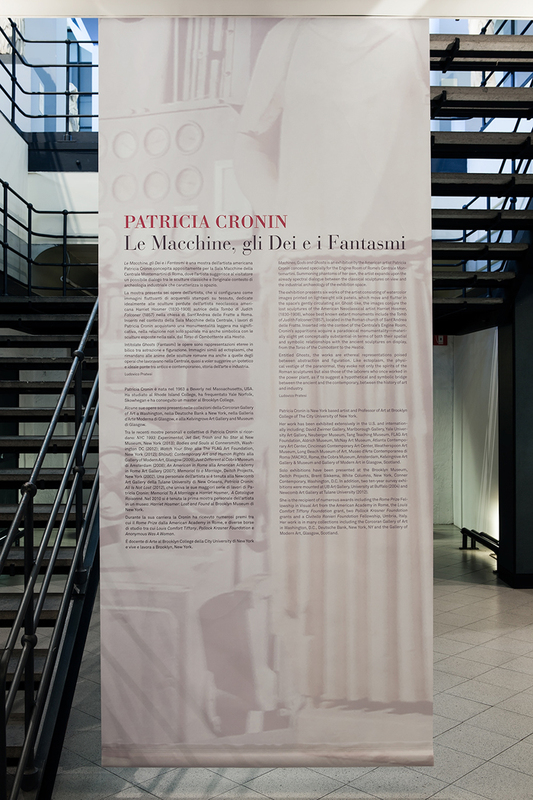 "Patricia Cronin Confronts the Present with the Past"
"patricia cronin alla centrale montemartini: incorporee figure"
"I fantasmi di Patricia Cronin alla Centrale Montemartini"
"Patricia Cronin: presenze e assenze"
"Patricia Cronin and the Ghosts of Rome Past"
"In mostra Patricia Cronin Con sei opera monumentali"
"Neoclassico : Le Macchine, Gli Dei, I Fantasmi"
"Dedicato a te, Harriet Hosmer"
"Omaggio alla Hosmer di Patricia Cronin"